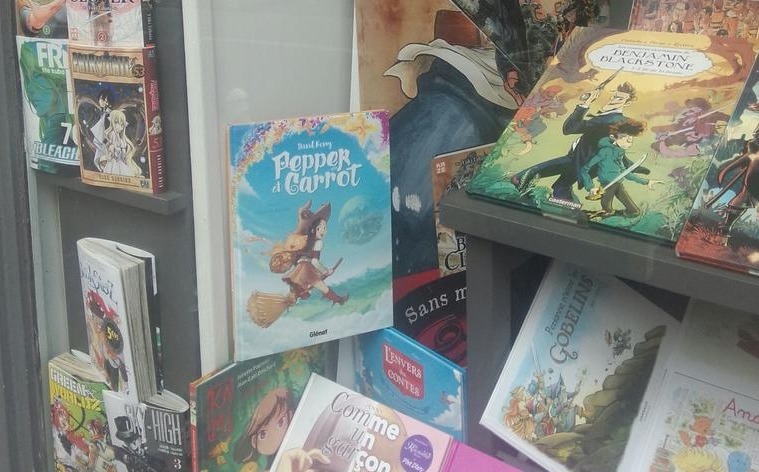 Early September, the published version of Pepper&Carrot by Glénat was released in French libraries and e-shop. This event made a buzz in France. Comic-press and many blogs on the french Internet wrote tons of content about it in a hot debate. In a nutshell, one side was welcoming something new (the printing of a free/libre comic) while the other side was angry about it. Long story short: I -for sure- spent too much energy and time into this but I felt no other choices. For an overview of this buzz with all links and references I advice this article (in french) by the librarian curator MrPetch on his blog who tried to be "objective as possible". An auto-translated English version can be generated here. Many thanks to all the one who gave me help and support in this adventure! 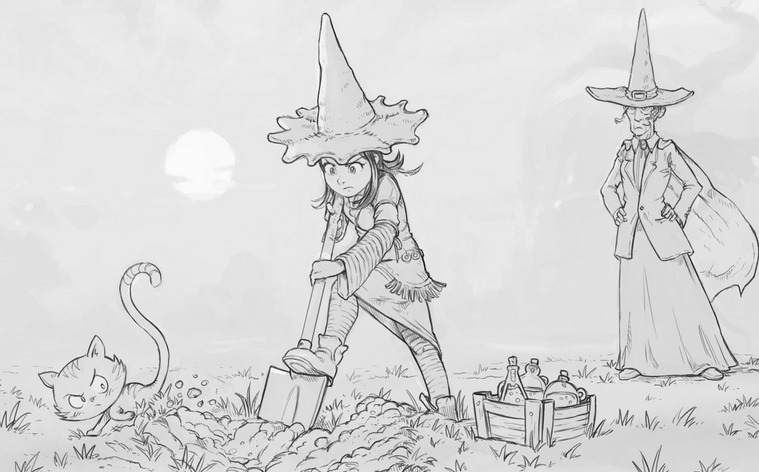 A lot of work has been done on the next Pepper&Carrot episode 19 to open more a part of the core creative process. A success! I received rich propositions to fix the story, better dialogs and punctuations by a little group of trusted contributors on our IRC channel. Right now the episode is in "string freeze" for the speechbubbles so the translator-team will be able to start working on the git repository very soon. About the artwork, I'm inking right now page 4. I'll release the episode when it will be ready, estimated around mid October. The open-movie Pepper&Carrot is funded ! 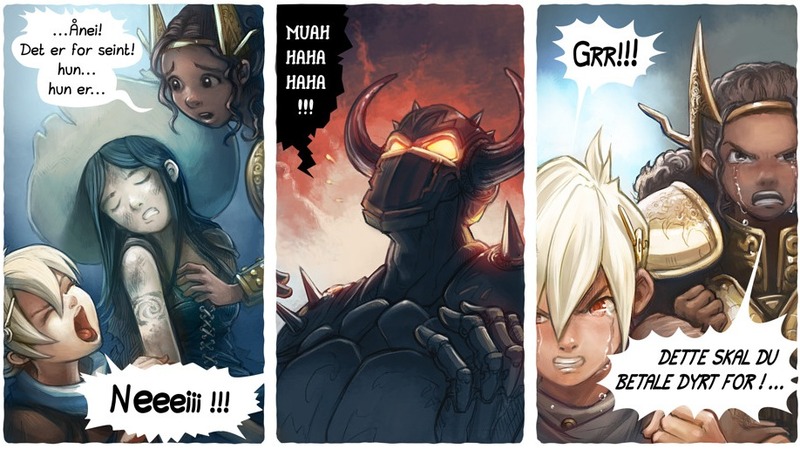 Nikolai Mamashev finished with success his Indiegogo campaign for his 'Motion Comic' project. His goal? To transform the episode 6 "The Potion Contest" into an animated 'motion comic'! A big congratulation to him and to all the supporter of the project for funding his derivative and creative project. At the moment, you can follow the update of his project in the 'update page' of his Indiegogo page, but I also saw update falling on the Morevna blog. In September I received many translations by Thomas Nordstrøm to translate all the episodes in Norsk, the Norwegian language. Translating all Pepper&Carrot was probably easy two years ago when the number of episode was easy to count on the fingers of a single hand, but nowaday, with more than 100 pages of comic plus the full website, it's a big big work. And Thomas managed everything between the 3 September and today, the 28! His secret? A 6 year old daughter eagerly waiting for new episodes translated :-) A big big thanks Thomas for all his contribution! A sample of the episode 13, in Norsk. I do not use a script or a code to track visitors (no Google Analytic on peppercarrot.com) but I like to check the graph proposed by the built-in tool coming with my hosting offer at OVH. It's good enough to get a general idea of the traffic. In September, the audience crossed the 10K visitor per days, and during the french debate, I had spike at 100K ! 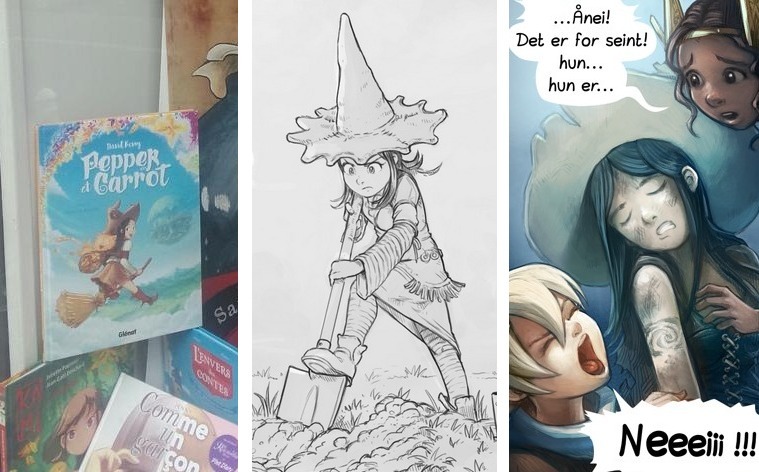 The audience of Pepper&Carrot for sure is growing a lot. Do you want to chat with us? I mean, with other Pepper&Carrot translators, contributors or fan? We have now many more option! Our main channel, the IRC channel #pepper&carrot on Freenode exist since years now, but recently it received many improvements. Thanks to the work of Valvin, our IRC channel now is in sync with another channel: he made a bridge to the Framateam channel "Komona". The new features are the possibility to log and read discussion later, the possibility to install and read the channel on a smartphone (Framateam use Mattermost) and the channel display videos, avatars and pictures. Another contributor, Gleki also added during summer a bridge to Telegram; so, if you like this client, know you can find a Pepper&Carrot channel on Telegram that also sync with the IRC main channel. Also, for french a special channel "Pepper's House" was also added by Valvin. License: CC-BY David Revoy, www.davidrevoy.com, 27 september 2016 .